We accept violin students from the age of 4 years old. 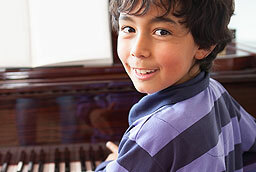 Violin (and also piano) are the best instruments to start children on from a very young age. 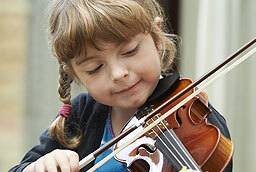 Violins are sized to a fit even a very small child which makes it easy for a younger child to begin lessons. Most adults will use a full size violin, but it’s best to be sized before renting or buying first. Before a student begins violin lessons it is important to be fitted for the instrument, to ensure that the instrument properly fits the length of their arm. Violin is certainly a more challenging instrument to learn in the beginning stages than piano (violins do not have frets and require regular tuning). However, we have found that students that stick with violin long term and become proficient on this instrument often develop a musical ear that most other students do not. 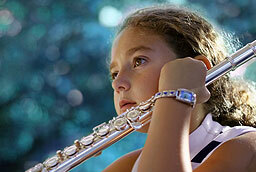 You also may have heard of the violin also referred to as the “fiddle”. It is virtually the same exact instrument, with the primary difference being that an actual fiddle consists of a long shaped neck with slightly less arch as compared to a violin. Many students interested in “fiddling” use a standard violin and play fiddle style music: which tends to use a lot of string bending and multiple stop bowing, whereas the violin requires a cleaner, single noted tone. 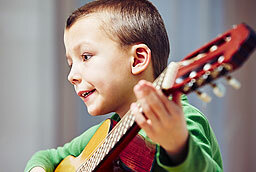 Renting a violin (as opposed to purchase) is often a preferable option for parents of young children because as a child grows they will need to move into a bigger violin. If you are looking for violin lessons and are located in the greater Los Angeles area, please contact us through our “Get a Free Class” link or just give us a call. We offer classes in three Los Angeles area locations, each of which feature a friendly and professional studio environment.